Outcrops of granulite facies pelitic gneiss and mafic granulite, which underwent a complicated deformational metamorphic history. 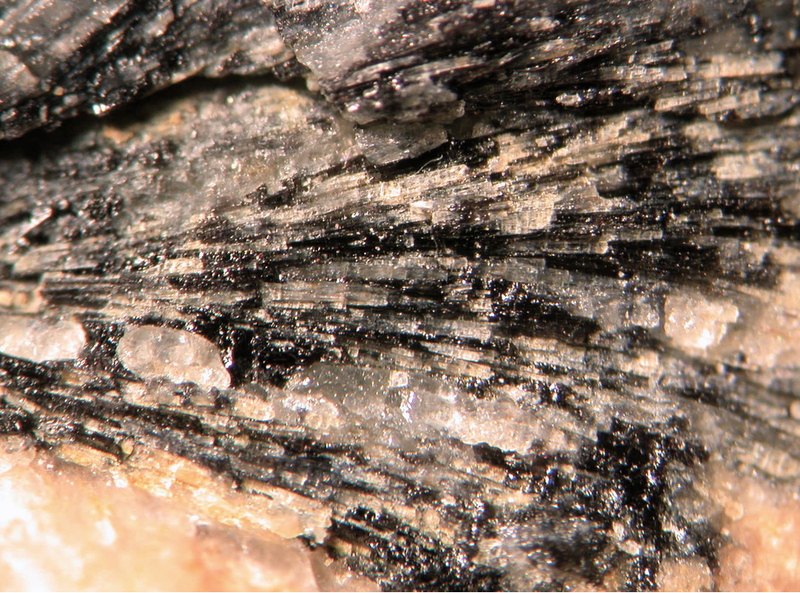 Peak metamorphic assemblages are characterized by inclusions of cordierite and sillimanite in coarse grained garnets or spinels in pelitic gneiss, and by inclusions of orthopyroxene and plagioclase in coarse grained garnet in mafic granulite. Sapphirine-magnetite and sapphirine-spinel-sillimanite-magnetite-quartz assemblages are included in coarse grained orthopyroxene in biotite-rich quartzite, and fine grained spinel occurs as inclusions in this sapphirine. 24 valid minerals. 3 (TL) - type locality of valid minerals. - Laixi Tong, Xiaohan Liu, Liansheng Zhang, Haihong Chen, Liudong Ren, Yanbin Wang, and Yue Zhao (1997): Characteristics of the Early Remnant Mineral Associations in Granulite facies Rocks from the Larsemann Hills, East Antarctica and Their Metamorphic Conditions. Acta Petrologica Sinica 13(2), 127-138. - Grew, E.S., McGee, J.J., Yates, M.G., Peacor, D.R., Rouse, R.C., Huijsmans, J.P.P., Shearer, C.K., Weidenbeck, M., Thost, D.E., and Su, S. (1998): Boralsilite (Al16B6Si2O37): a new mineral related to sillimanite from pegmatites in granulite-facies rocks. American Mineralogist 83, 638-651.